Looking for a neighborhood youd never have to leave? Welcome to Clinton Hill! Nestled between Fort Greene and Bed-Stuy, Clinton Hill proffers a tremendous amount of entertainment options and cultural institutions. 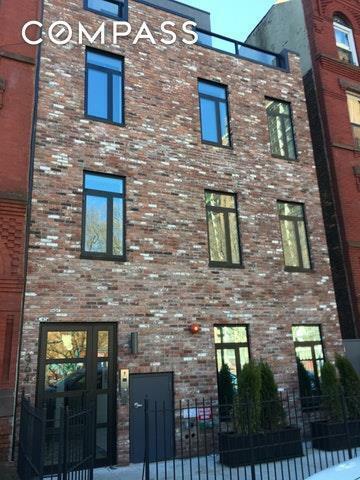 Clinton Hill gained its roots as the destination for affluent New Yorkers. Rising above other neighborhoods, both literally and figuratively, Clinton Hill became home to mansions, brownstones, and beautiful row houses. Today that essence is still found at 364 Lafayette. 364 Lafayette is a distinctive set of nine residences that were built three years ago. 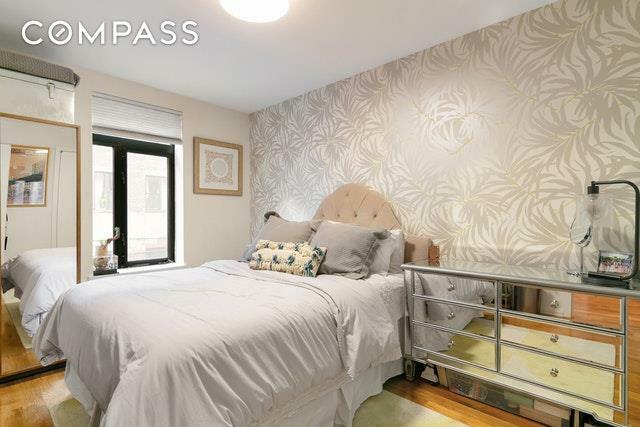 Located a block from Pratt Institute, G subway on the corner, C subway within a 10-minute walk, and the BQE (I-278) less than a mile away, but like why would you need to leave anyway? Speedy Romeos, home of the best wood-fired Pizza this side of the Atlantic, is around the corner, Mekelburgs, home of amazing American craft food, is around the other corner. 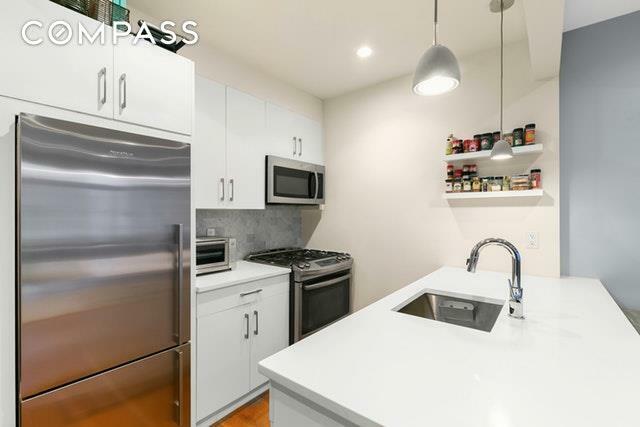 Take a walk and discover all of the available options to you, you will lose count and your cravings will change just as fast.Inside 364 Lafayette 2B, you will find a generous one-bedroom layout. Immediately you will notice the large windows in the living room, which make for easy gazing on the streetscape. The living area is nearly 250sqft, the bedroom nearly 150sqft. The kitchen allows for barstool set-up on the Caesarstone countertop, which features pendant lighting, many wine nights in the future! The kitchen is schemed in light tones to complement the 5 real oak floors. The living room features recessed LED lighting in addition to a flush mounted chandelier. 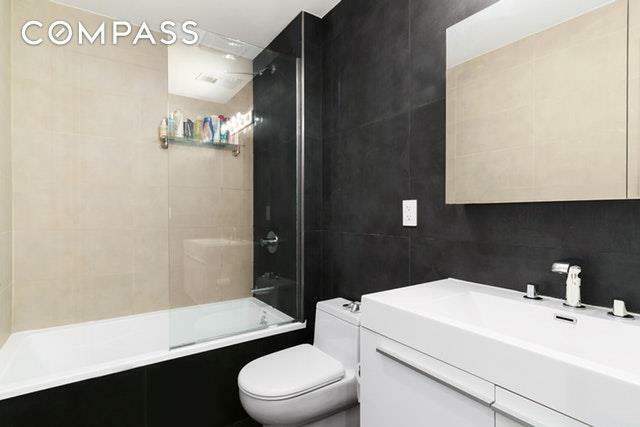 Step inside the bathroom and you will notice it is fully tiled + vented with a large single vanity and glass enclosed tub. One final spin around the apartment and you will see, nothing is missing, and plenty of room for your imagination to shine.Do your happy dance, you just found home!